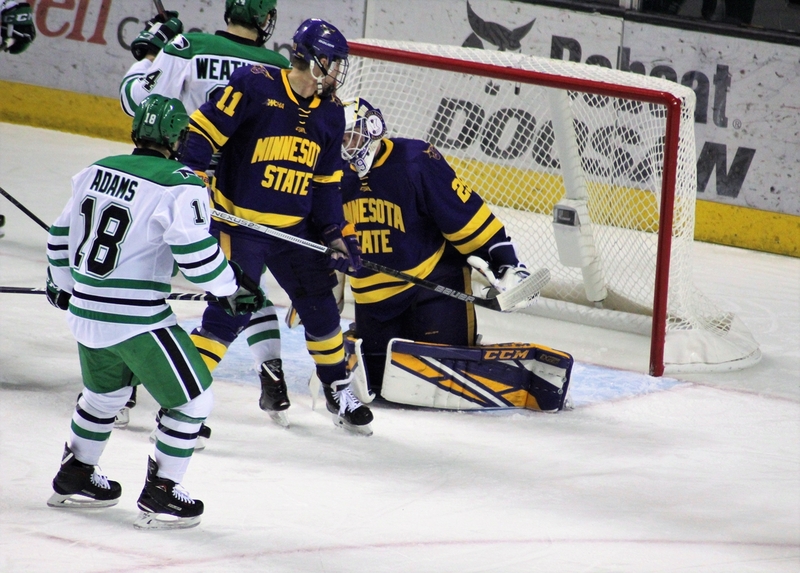 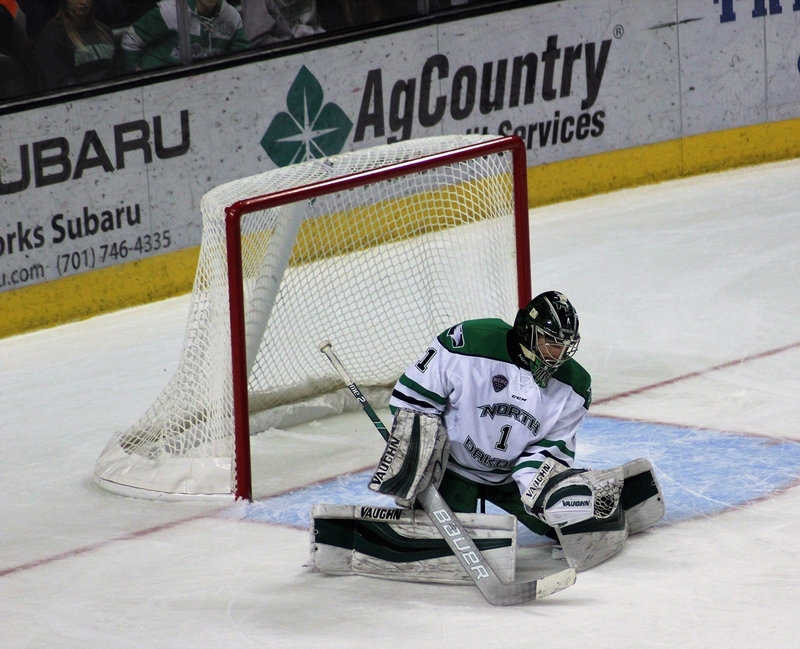 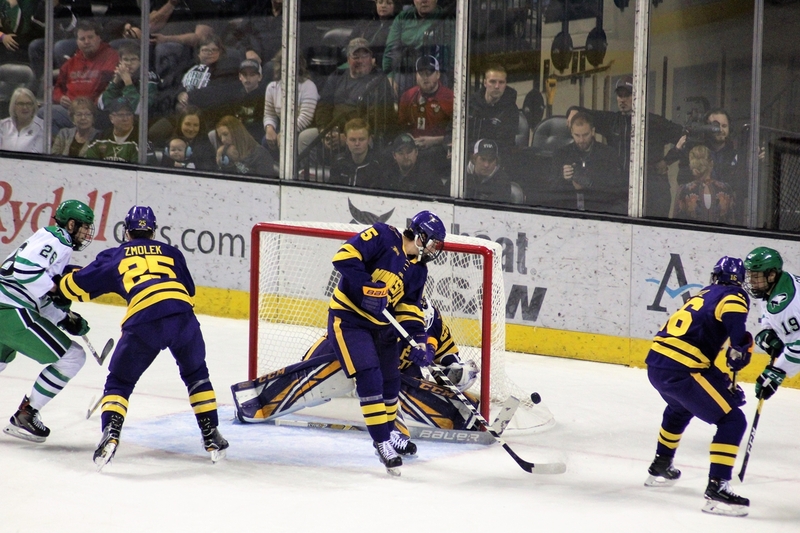 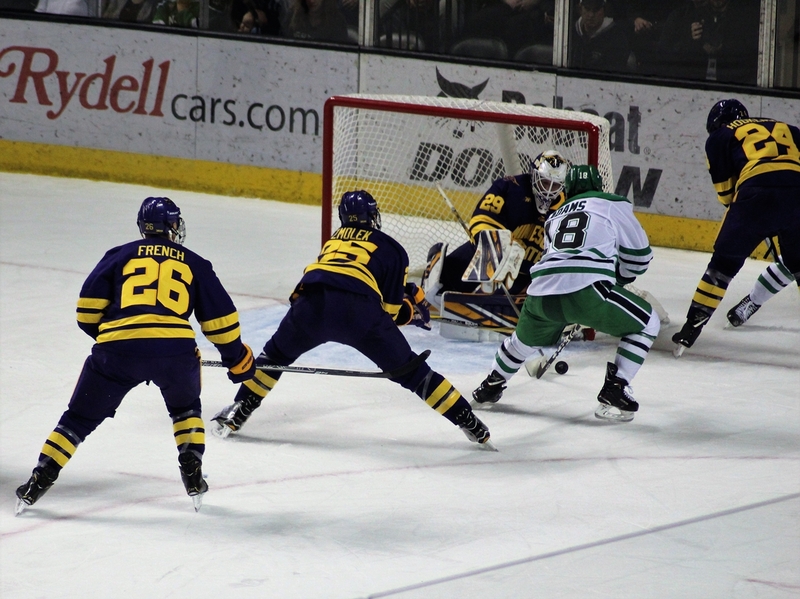 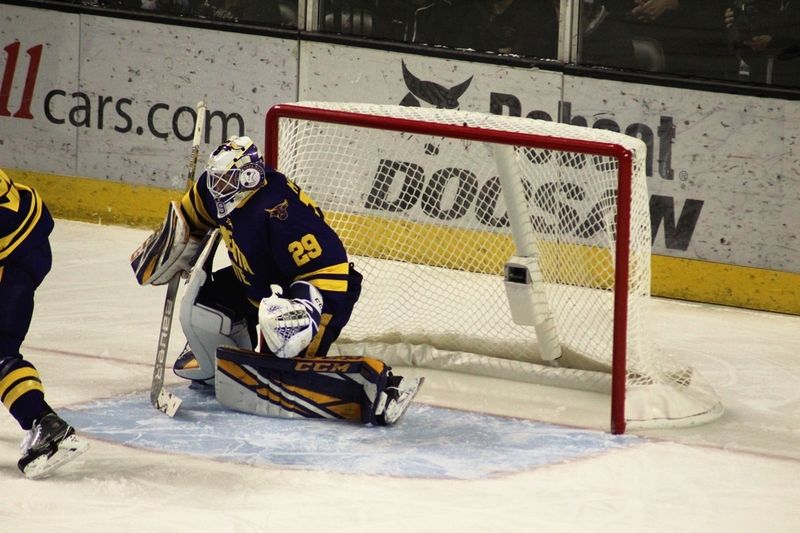 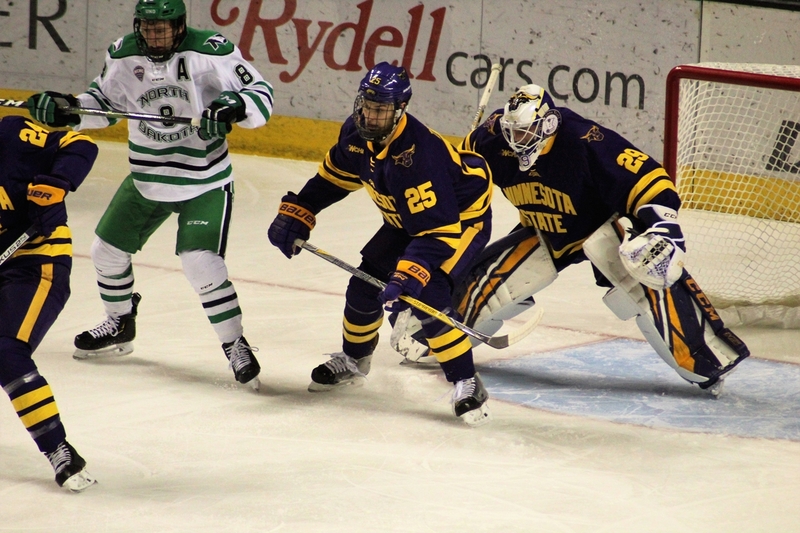 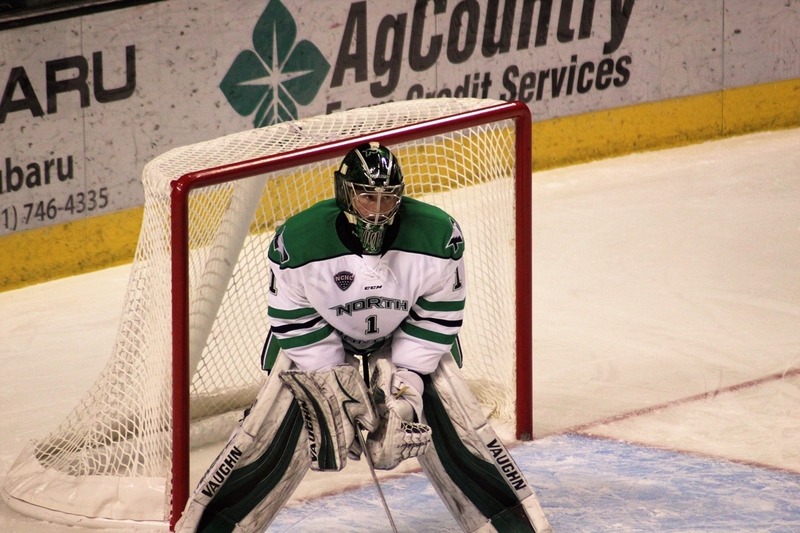 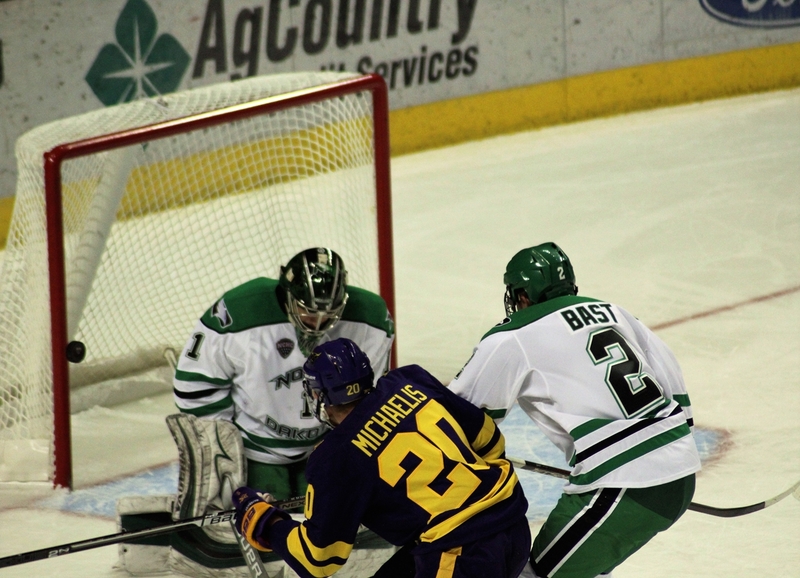 Sophomore goalie Peter Thome squeezes the puck against MSU. 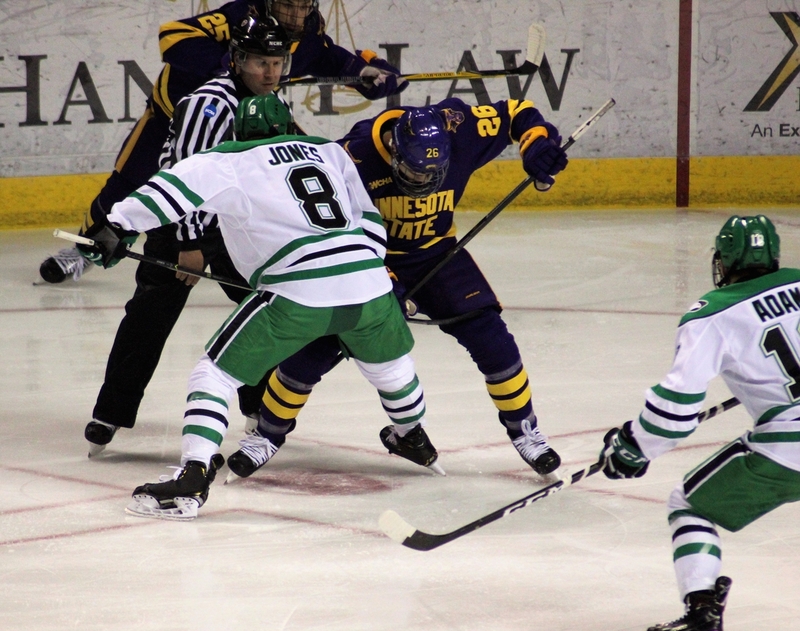 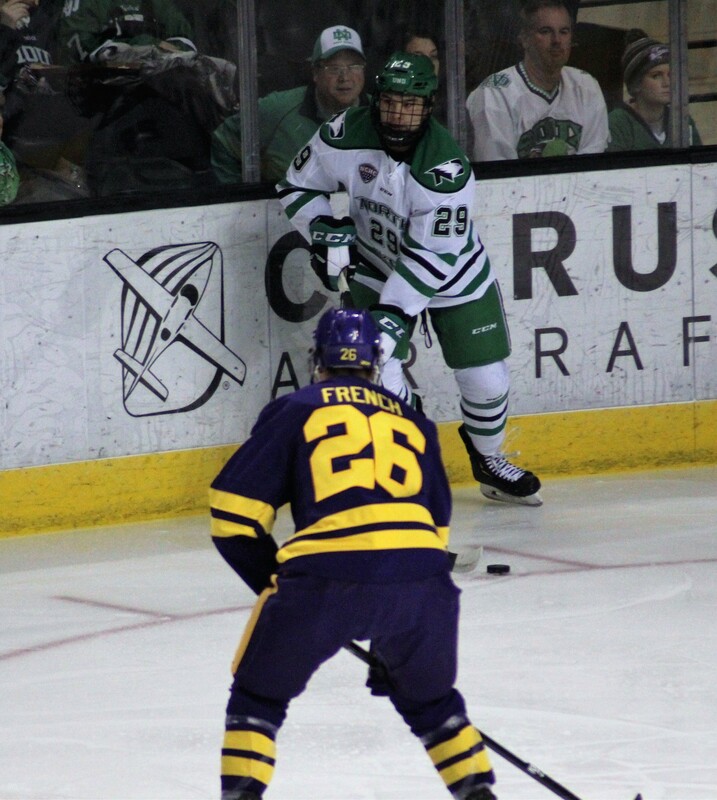 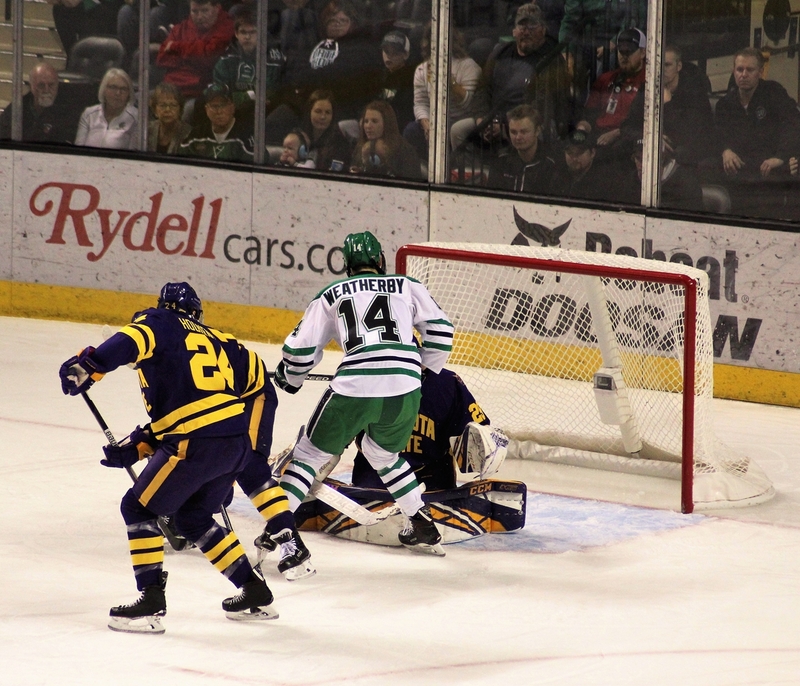 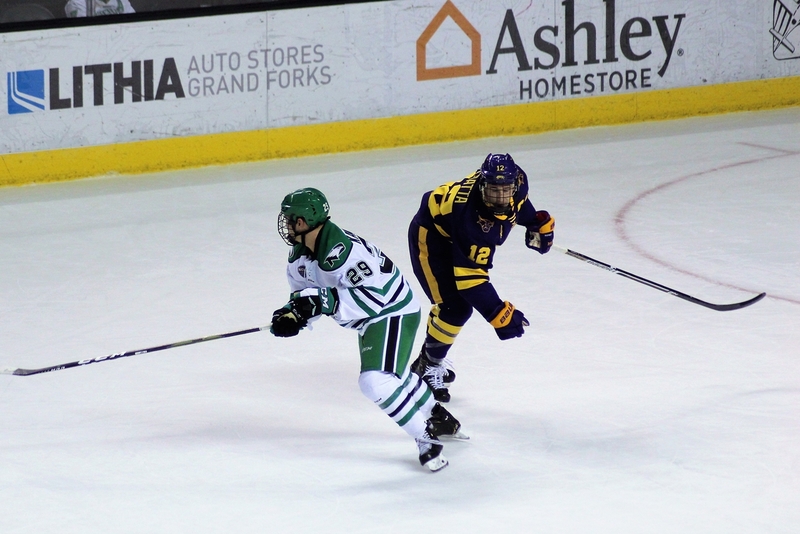 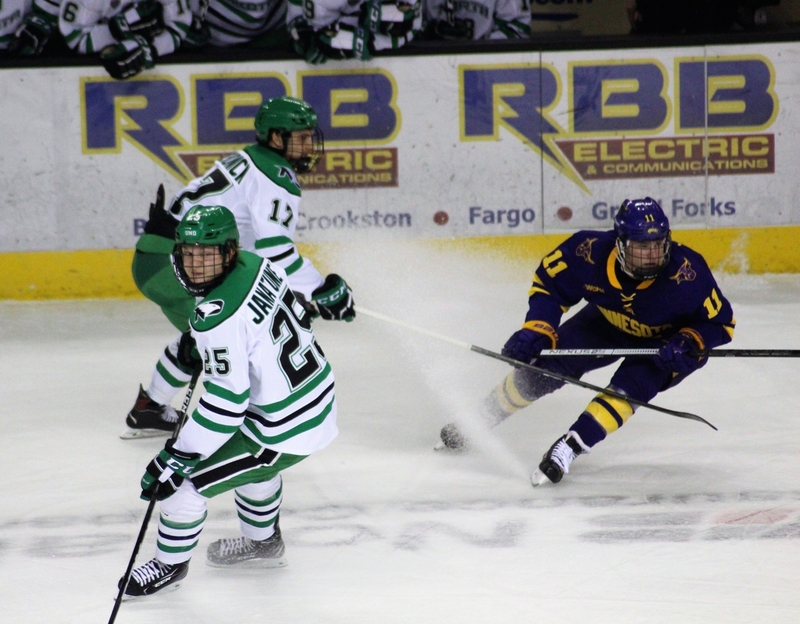 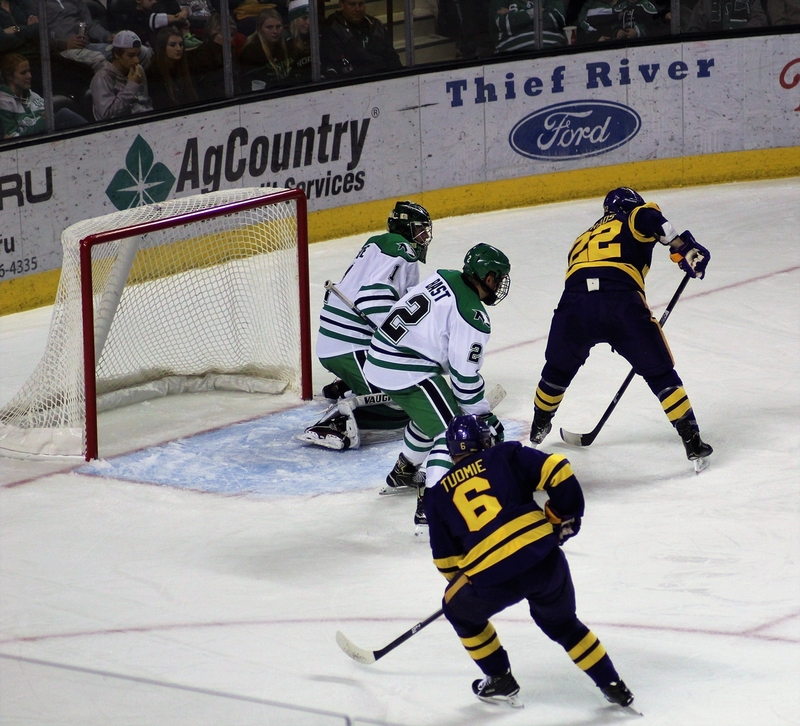 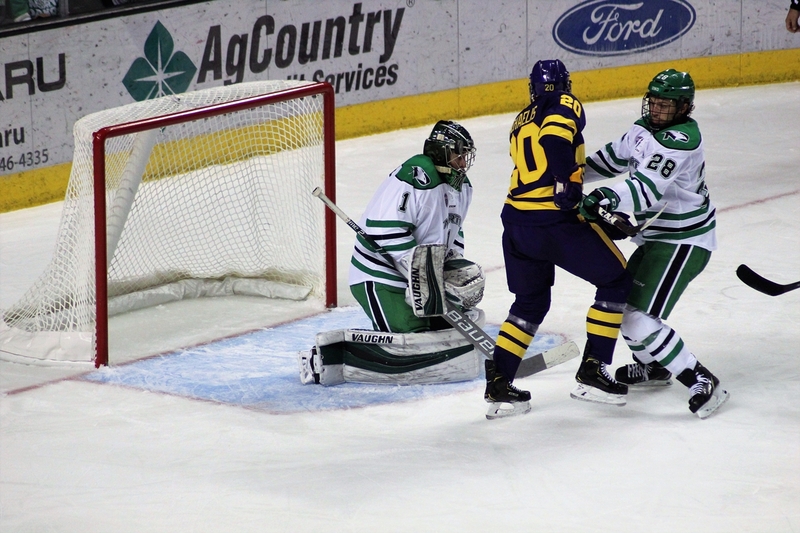 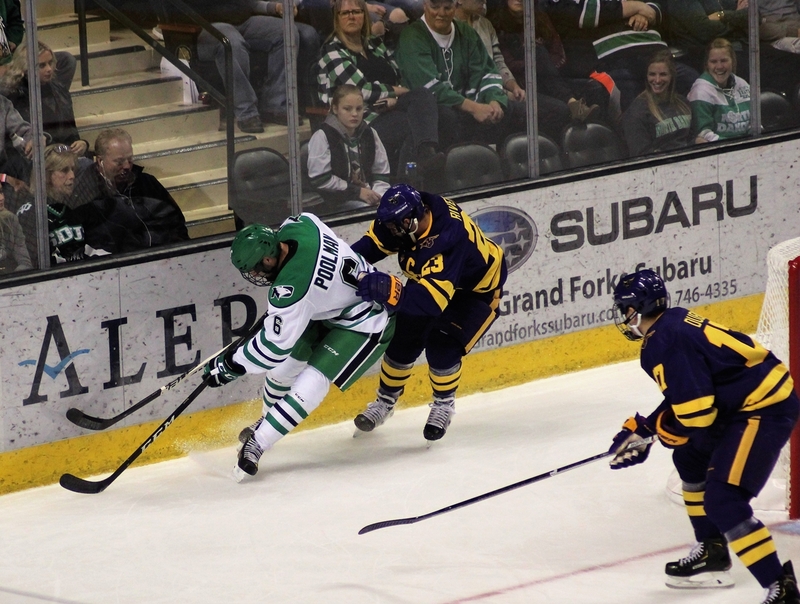 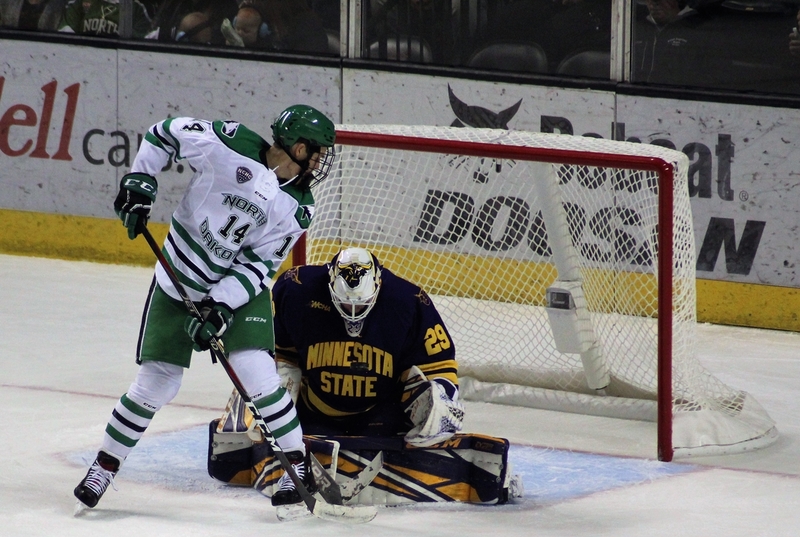 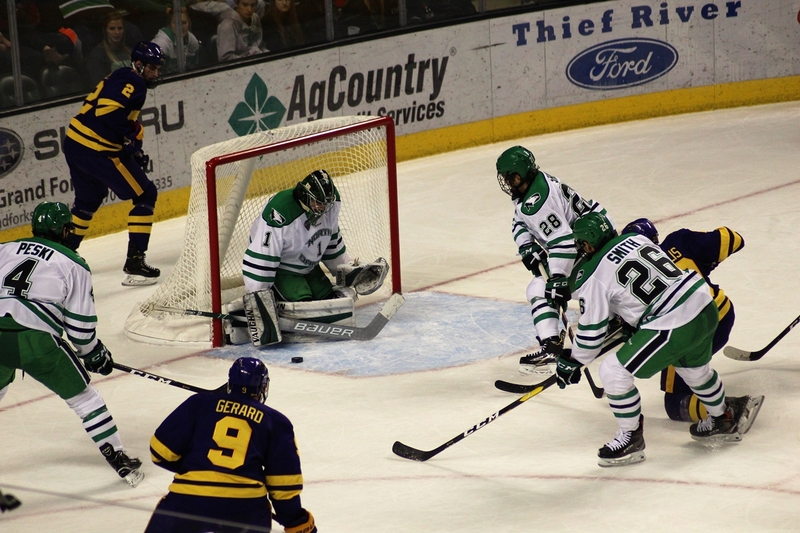 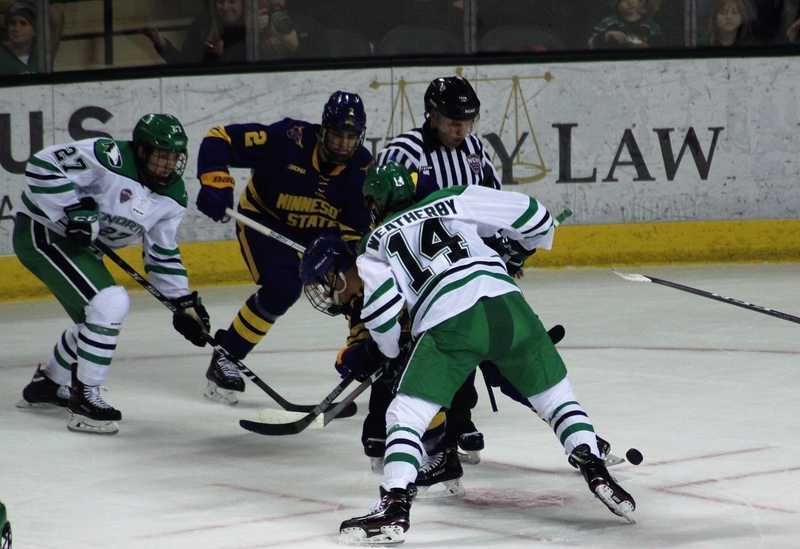 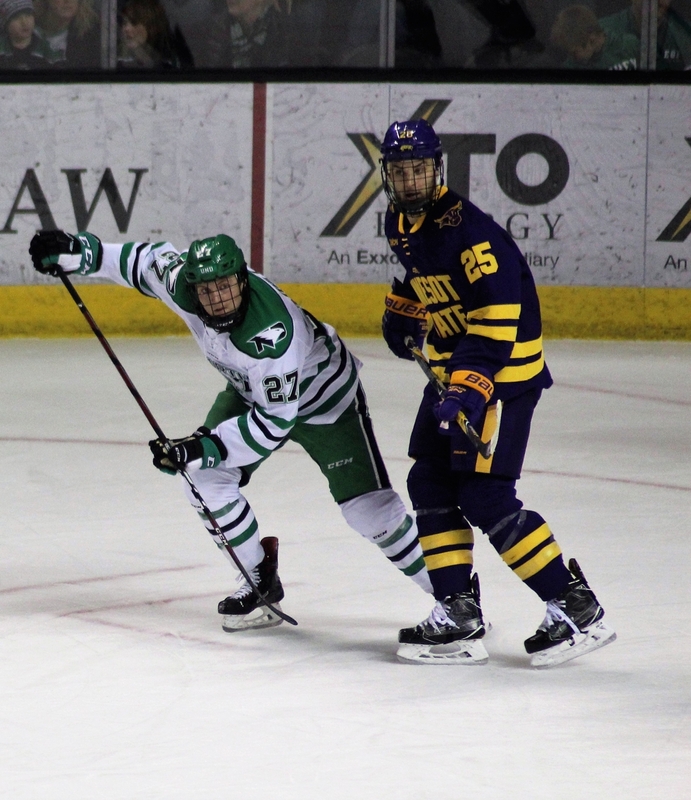 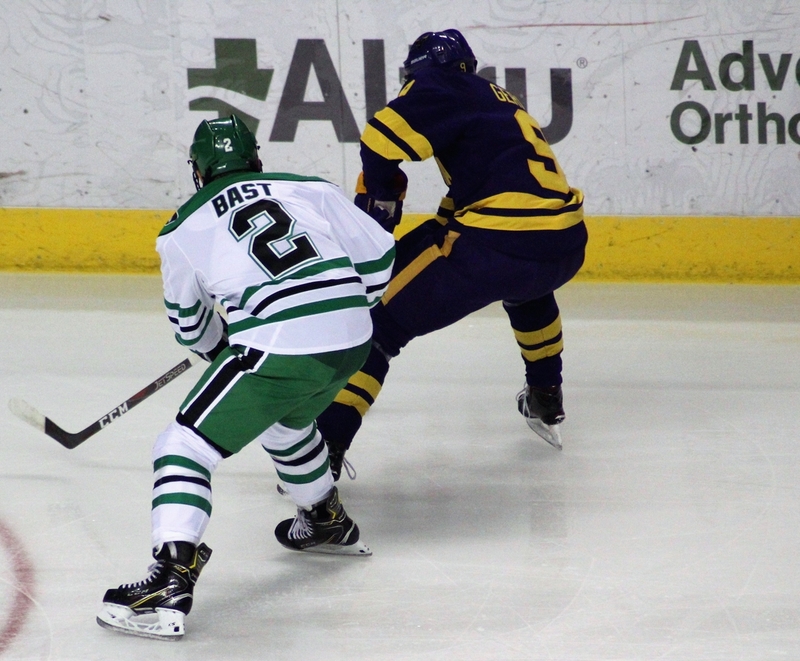 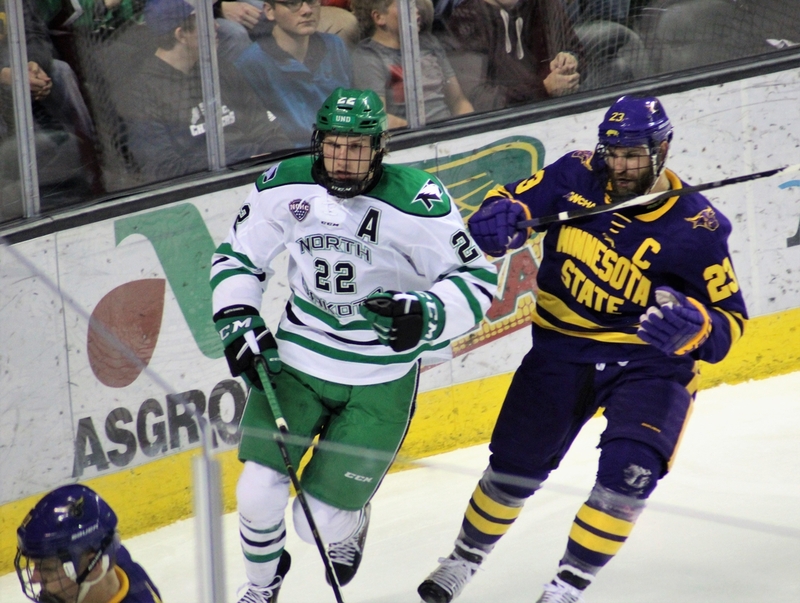 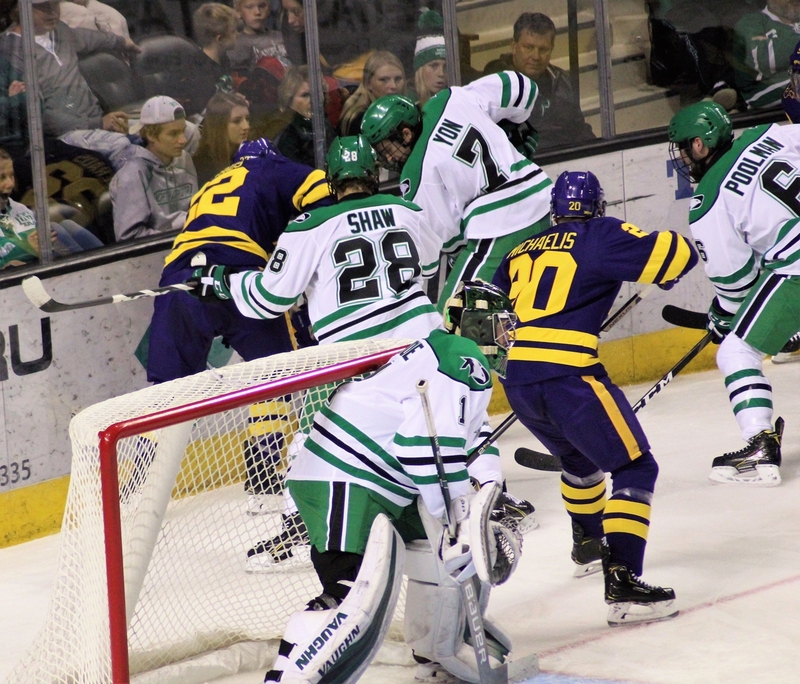 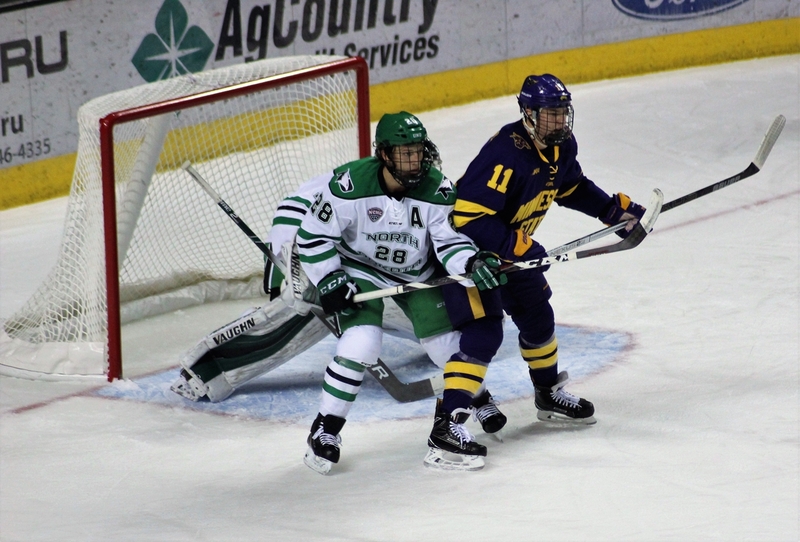 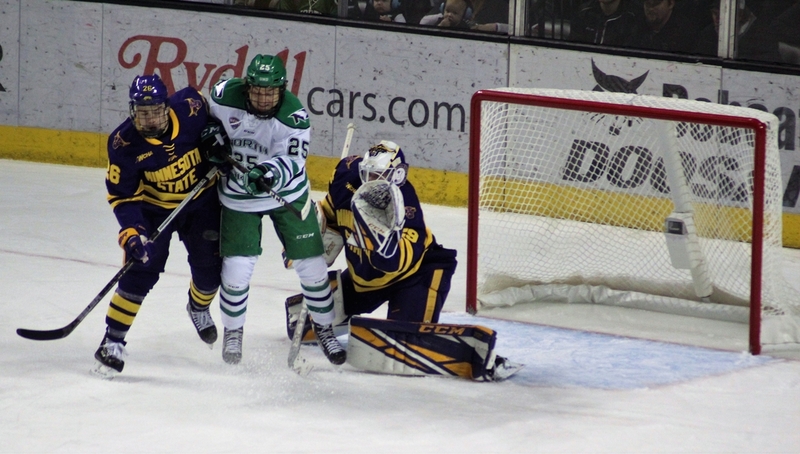 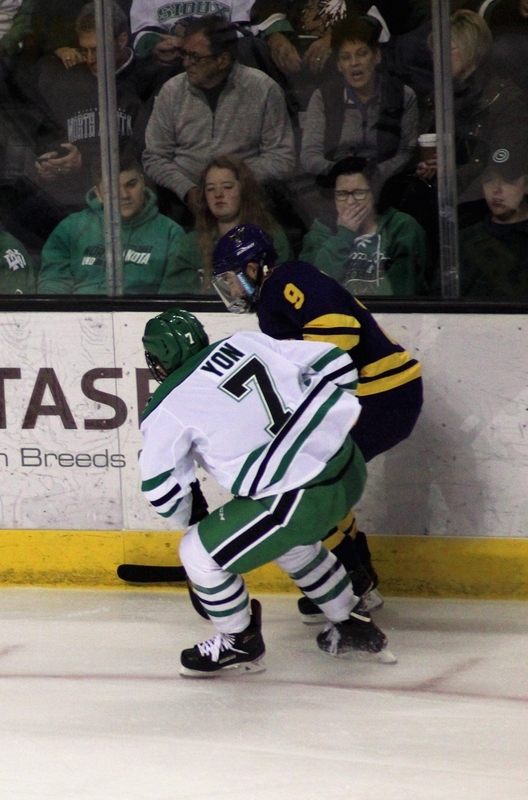 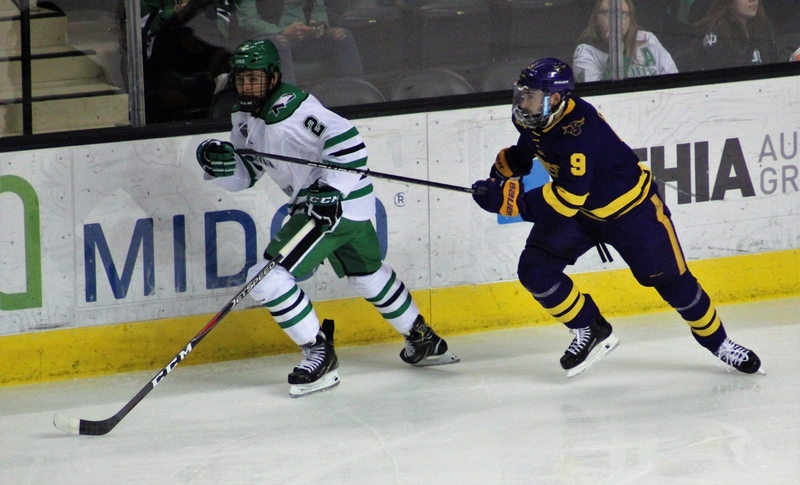 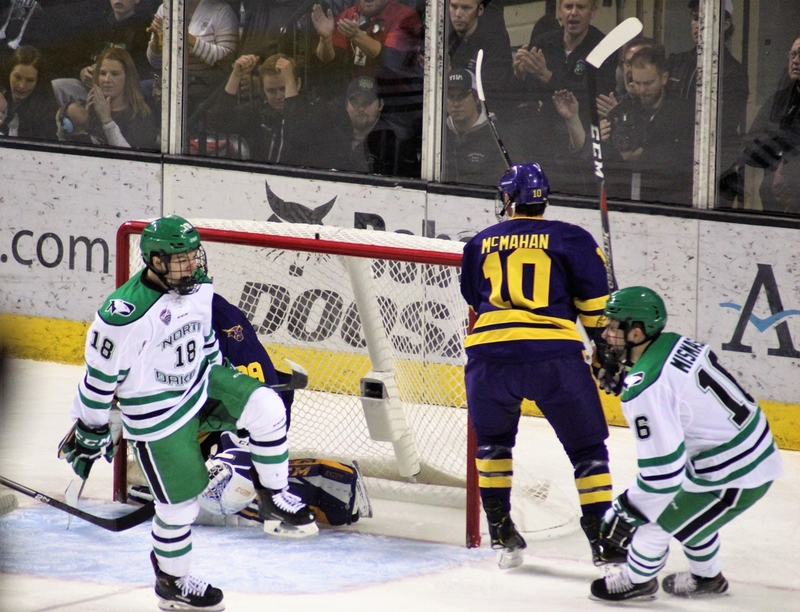 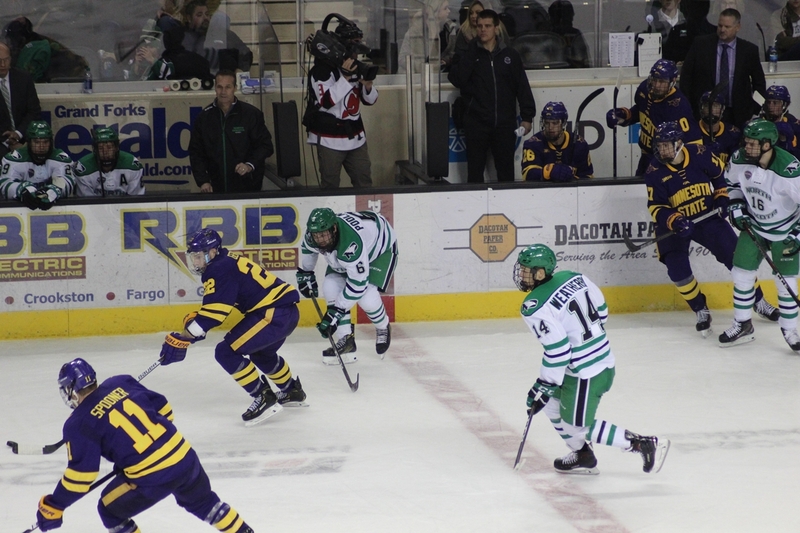 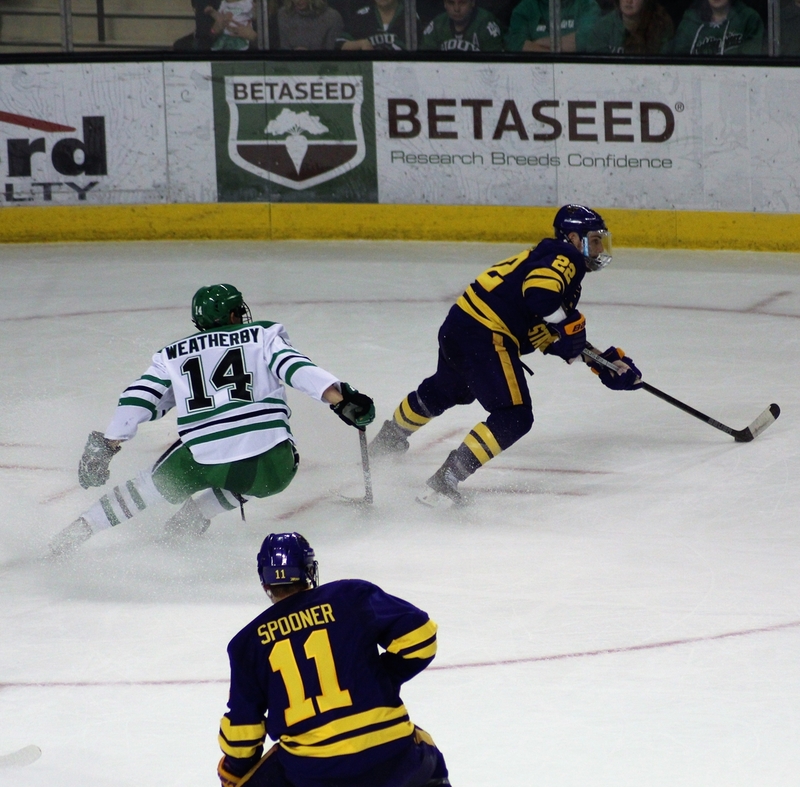 Grand Forks, ND – On Friday night, the University of North Dakota was looking to right the ship against the Minnesota State Mavericks. 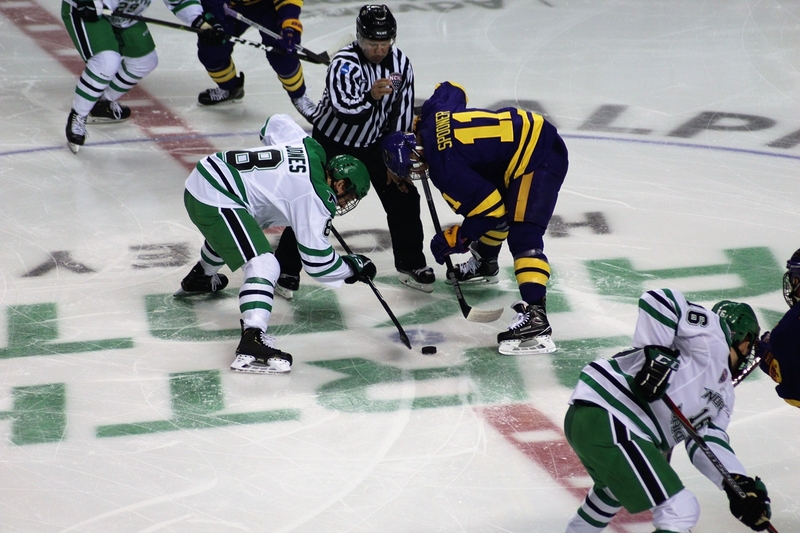 The two teams hadn’t played since the 2012-13 season. 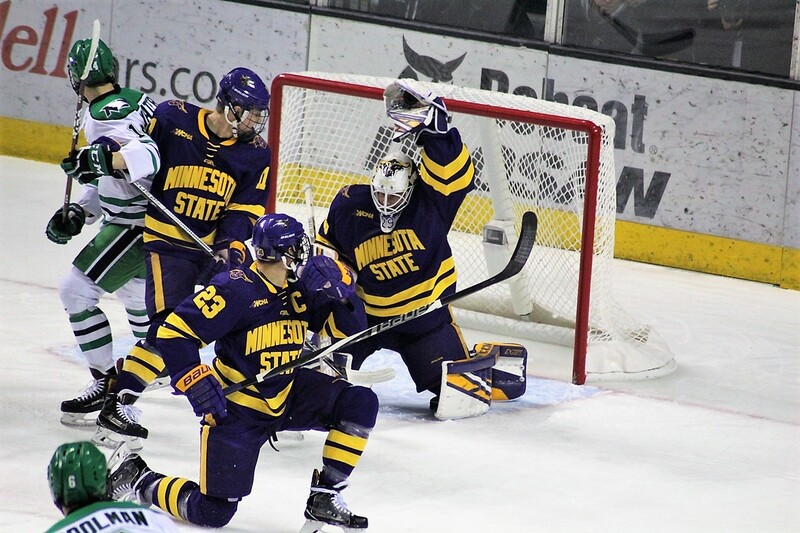 The five-year absence didn’t make the heart fonder. 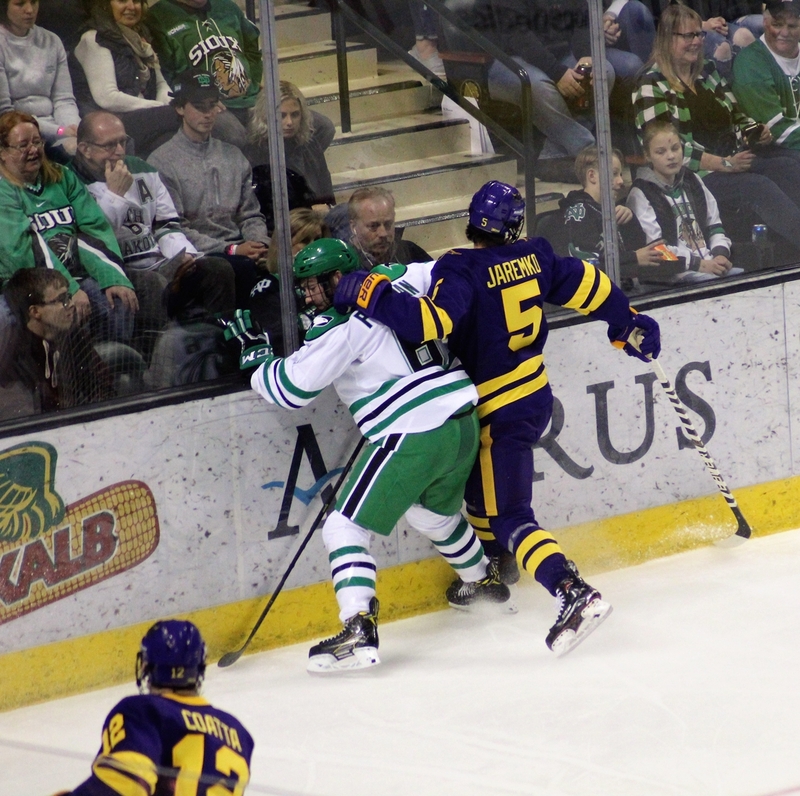 Nor did it take long for the two teams to get reacquainted. 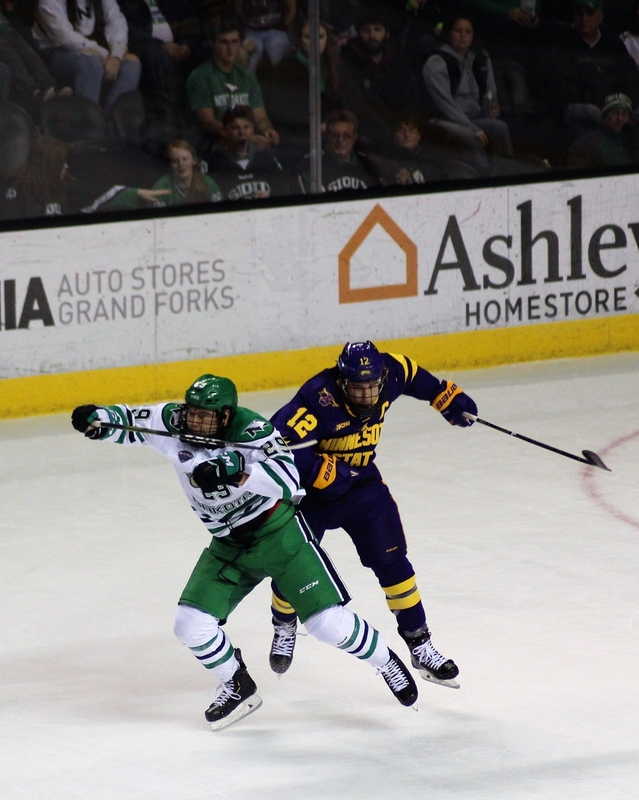 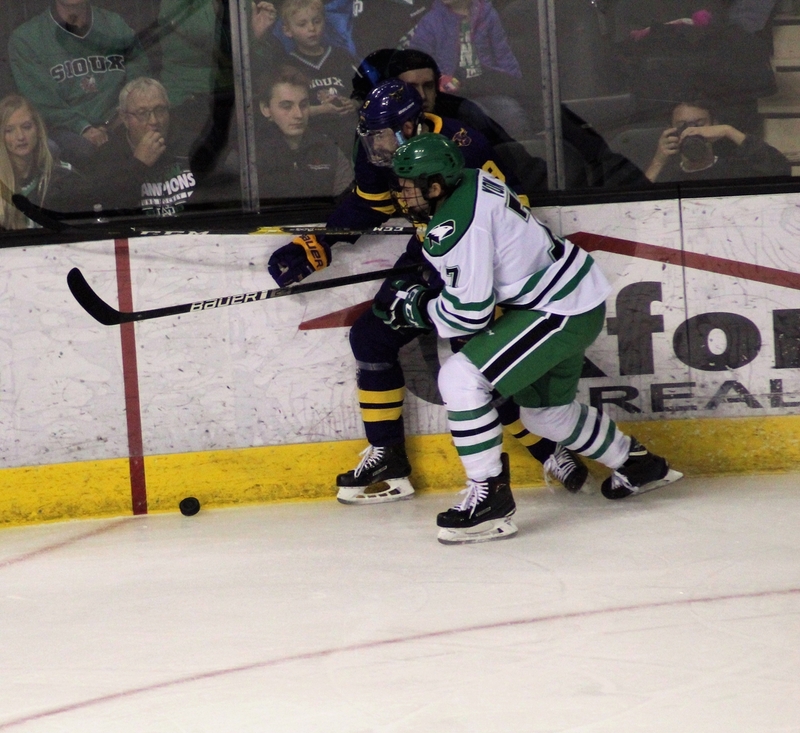 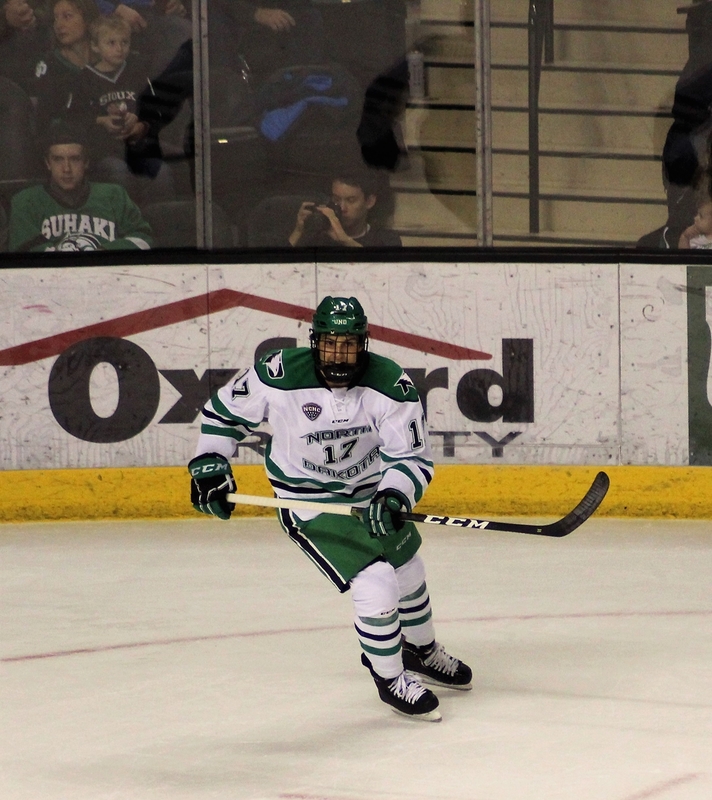 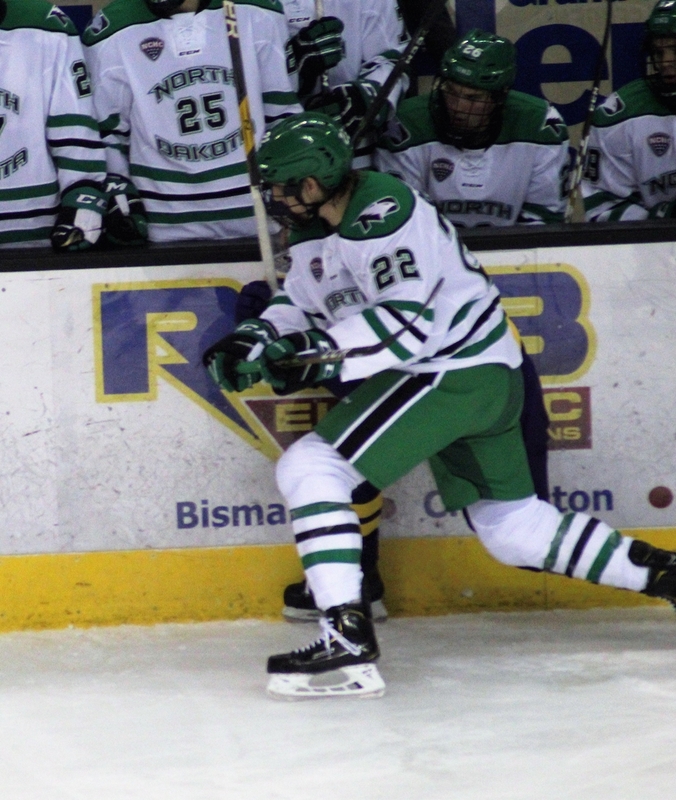 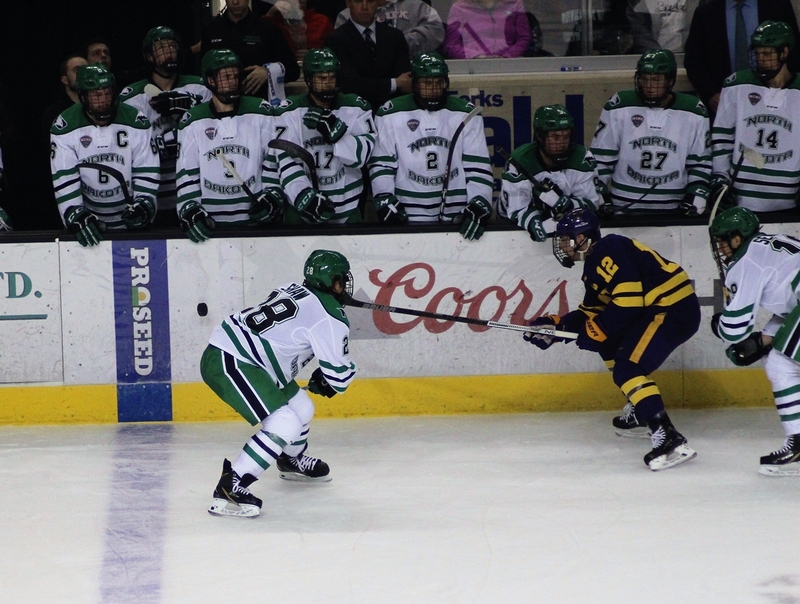 Entering Friday’s game, UND was averaging a goal per game, the Fighting Hawks were struggling for offensive production. 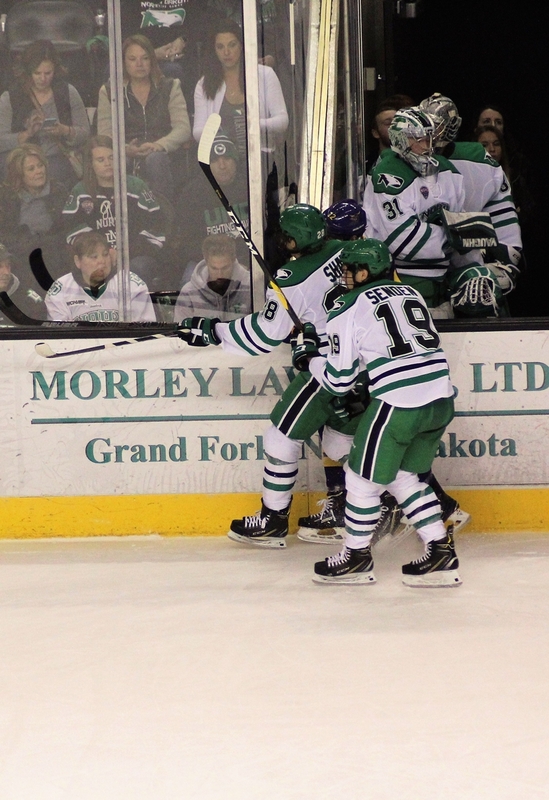 On Friday, UND did something it hadn’t done all season, score more than a single goal during a game. 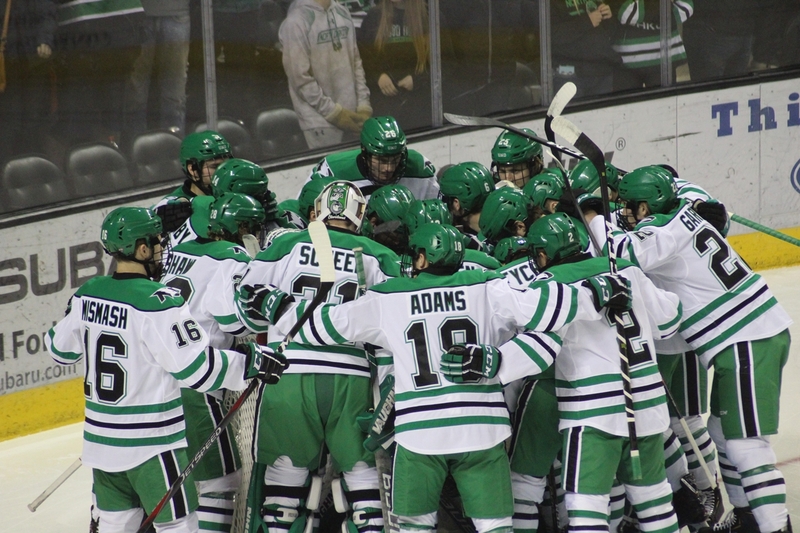 Unfortunately, the Hawks gave up more goals than they scored. 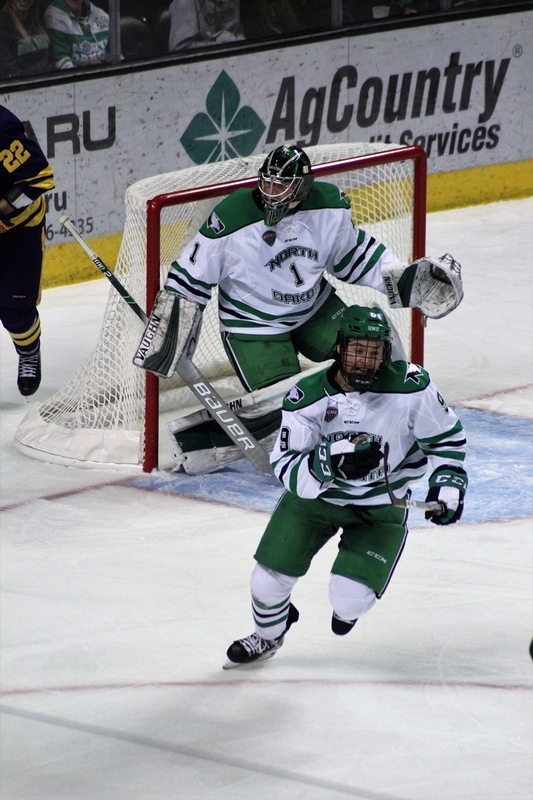 When the final horn sounded, the Hawks were on the wrong side of a 7-4 score.